Racism is a learned behavior, influenced by fear and sustained by ignorance. 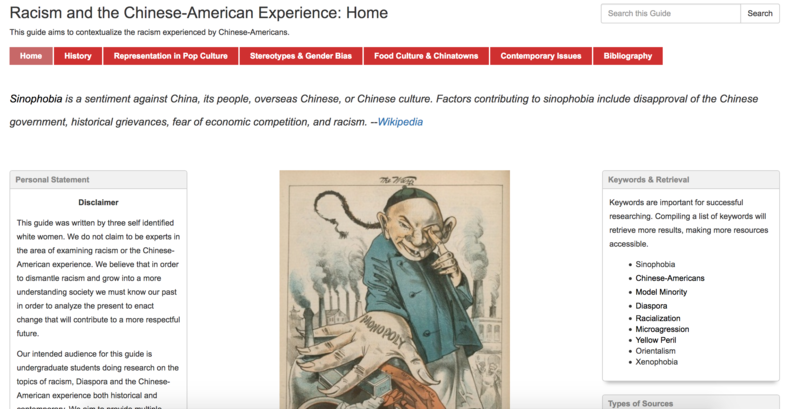 This Libguide was created to help students better contextualize how discriminatory policies and fear mongering produced widespread racism against Chinese-Americans. In order to dismantle racism, it is imperative to recognize it’s many forms both historical and contemporary. 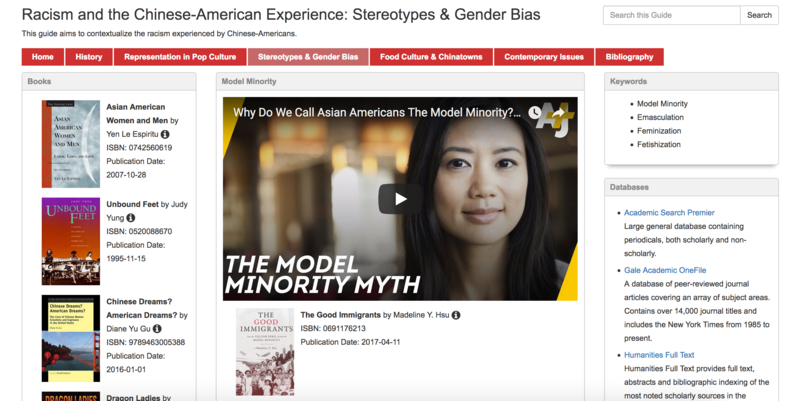 The creators, three self-identified white women, do not claim to be experts on the Chinese-American experience and we recognize our privilege in the creation of this guide. We welcome any and all criticism and hope to create discussion around the power of librarians as content creators. Our guide can be viewed here. I am currently a graduate student at Pratt Institute's School of Information, working towards a degree in Library and Information Science as well as an advanced certificate in User Experience. Through my love for public libraries and user experience, I want to help people find information in more meaningful and effective ways.